The solar system is populated with otherworldly domains that contain characteristics too bizarre to be seen on Earth. 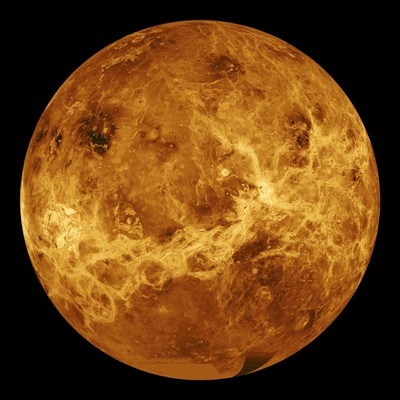 Mercury, the closest planet to the sun is a world of record breaking extremes. Comparing it to the rest of the planets, it is the fastest one, moving at a breakneck speed of about 112,000 miles per hour, along with the greatest range of temperature swings(-280 to 800 degrees fahrenheit), and is the nearest planet to the sun. On the other hand, it is also the smallest planet, with the slightest amount of gravity, and the least amount of atmosphere. In fact, it has basically no atmosphere at all. 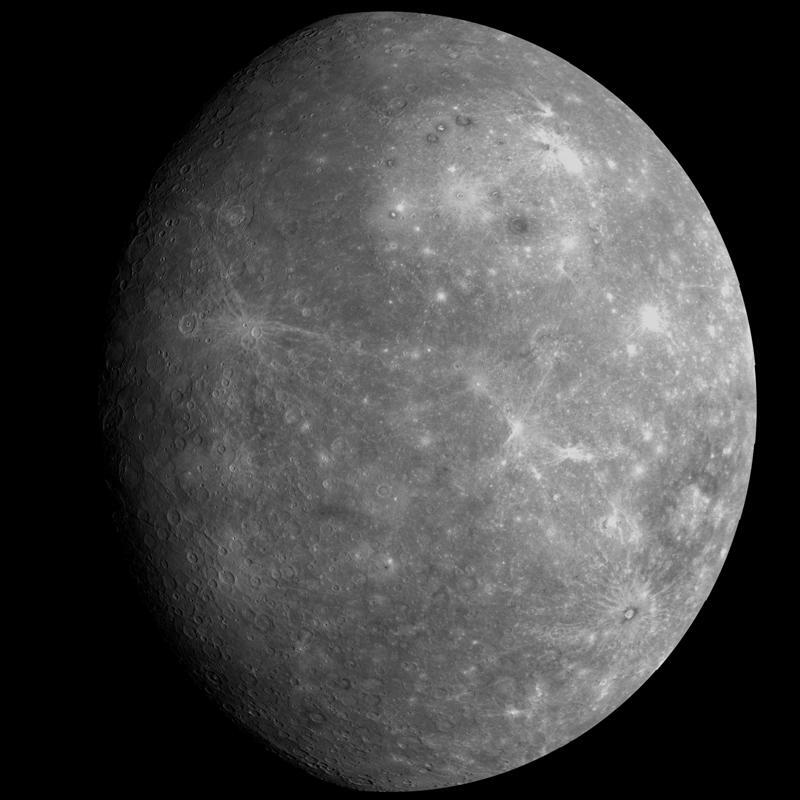 The only thing around Mercury that would resemble an atmosphere is a thin exosphere that is made up of atoms that have been blasted off of the surface by electrically charged particles from the solar wind and by micrometeoroid impacts. 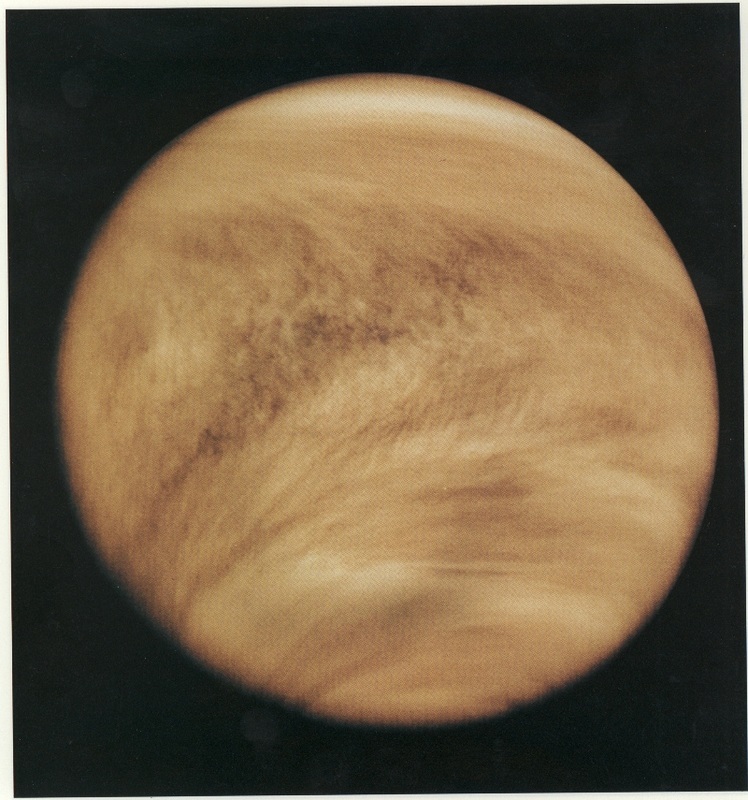 Venus has clouds of sulfuric acid that drip acid rain into an atmosphere so hot that the acid vaporizes again before it reaches the surface where the temperature is about 860 degrees fahrenheit. 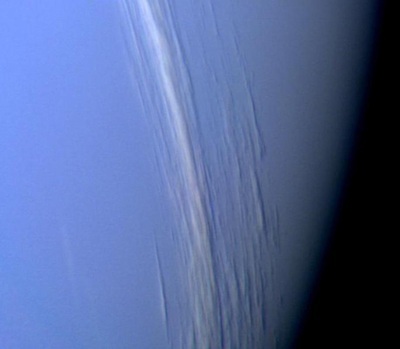 Here the thick, heavy atmosphere crushes down on the surface with over 1,300 psi (pounds per square inch). broken rocks lie strewn across a landscape that has the yellowish color of sulfur. Amid the thick haze of the murky atmosphere, thousands of volcanoes rise from the surface that are up to 150 miles across, some of them spewing lava hundreds of feet into the air. Enormous mountain ranges with peaks that reach up to 7 miles high are spread over a third of the planet. 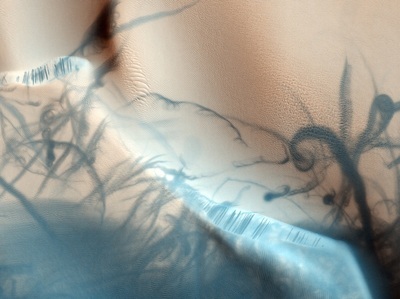 Mars is a place of enormous dormant volcanoes and gargantuan canyons. 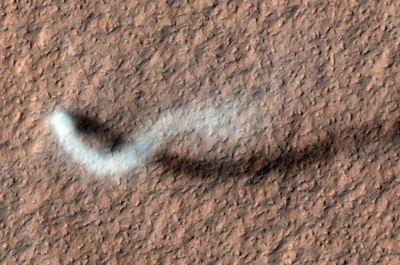 Towering dust devils twist wildly across miles and miles of terrain strewn with rocks and boulders. High speed dry winds kick up dust storms that can engulf the entire planet. Huge impact craters tell of heavy bombardment from the heavens. Temperatures are cold enough to freeze gases right out of the air into polar ice caps. It's a surreal place of extreme geological features coated with a continuous layer of iron rust, framed by a red sky above. A place so far away its diameter of 4,200 Miles diminishes into a tiny speck of light. 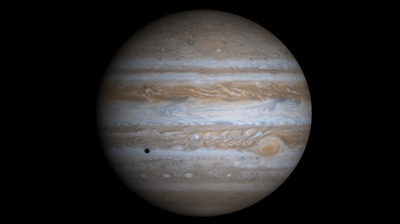 Jupiter is the fifth planet from the Sun and is about 5 times farther from the earth than the sun is. 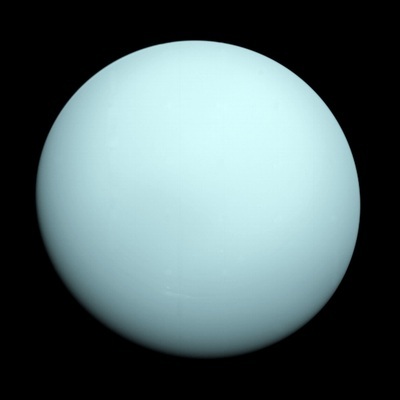 It is the largest planet in the solar system, measuring approximately 88,846 miles across, which is about 11 times the diameter of the Earth. If Jupiter were as close as the moon, it would appear very large, stretching over 40 times farther across the sky than the moon does. The strength of the gravity on Jupiter’s surface is about 2.4 times that of the Earth’s. This means that a 100 pound man from Earth would weigh about 240 pounds on Jupiter. This planet has an enormous storm that has been named the Great Red Spot. 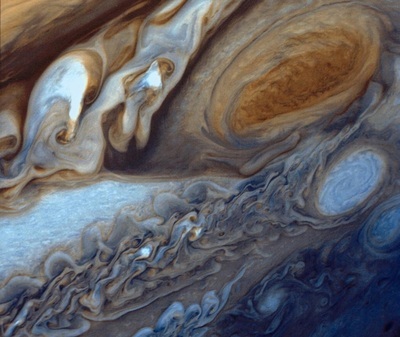 On Earth, hurricanes can form and dissipate in a matter of days but on Jupiter they can last for centuries. This storm varies in size but currently the widest diameter of the spot is about twice the earth's diameter. The outer edge of the spot circulates at about 225 MPH. It is believed that the storm routinely kicks up winds of over 300 MPH. Saturn is without a doubt one of the most unique and beautiful parts of God’s creation. The ring system around the planet is not the only unusual thing that we notice here, there are other things that catch our attention about this place. Although it is so large, it is actually fairly light in comparison to the other planets. Its density is only about ⅔ that of water. As a result of this, Saturn would float if we could place it in an enormous ocean (until gravity would cause the two masses two assimilate into one sphere). The rings around Saturn appear to be a solid disk but instead are many individual particles that are held in place by gravity and are orbiting in an endless marathon around the planet. Most of the particles range in size from a grain of salt to large rocks, while some of them can be as large as a house. They are mostly made of ice with a few bits of rocks that are coated with ice. 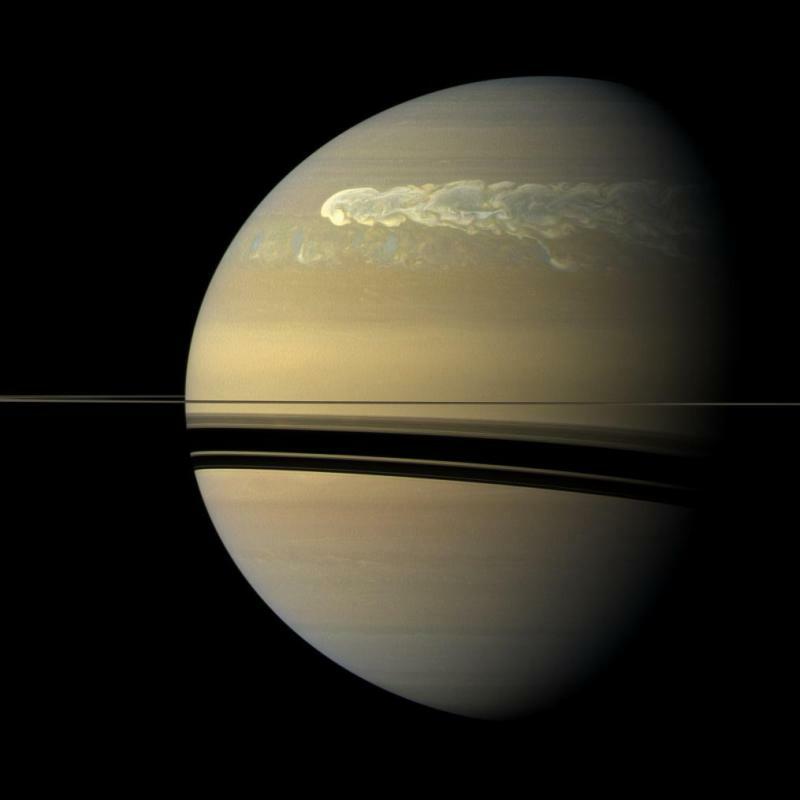 The main visible part of Saturn’s rings has a diameter of over 150,000 miles and a typical thickness of only about 30 feet. This makes them appear extremely thin when we look at them from here on the earth. If they are tilted edge-on toward us they are not even visible at all. If we could shrink the rings down till the average thickness was about the same as this dash - then they would have a diameter of over 8 miles. Uranus is the coldest planet in the Solar System at 357 degrees below zero. 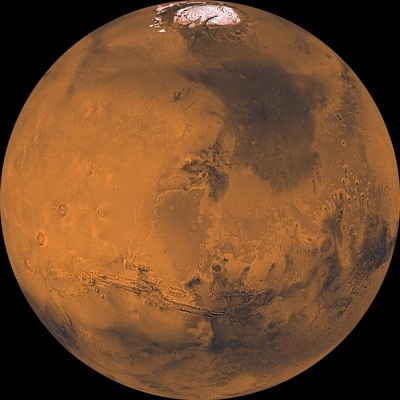 It is mostly made up of a fluid mixture of water, ammonia, and methane ices. 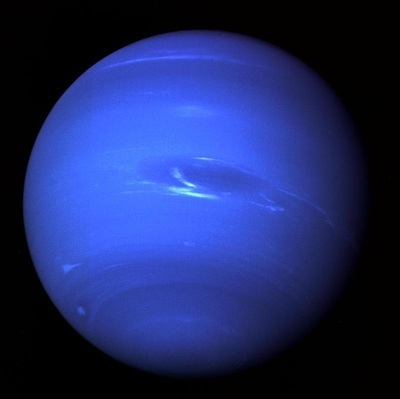 The blue/green color it has is a result of the methane gas in its atmosphere. Neptune, the stormiest planet in the solar system, has winds that travel up to 1,500 miles per hour. Winds of this speed were measured in a storm called the Great Dark Spot. The Voyager 2 spacecraft tracked this large, dark storm that was large enough to contain the entire Earth. It had rotating winds like a hurricane and was charging across the planet in a westward direction at 750 miles per hour. What did God have in mind when He created these other-worldly domains? Perhaps God likes an interesting twist here and there. Perhaps He felt a perfect satisfaction from sculpting surreal landscapes and filling them with the excitement of blasting winds or raging chemical oceans. 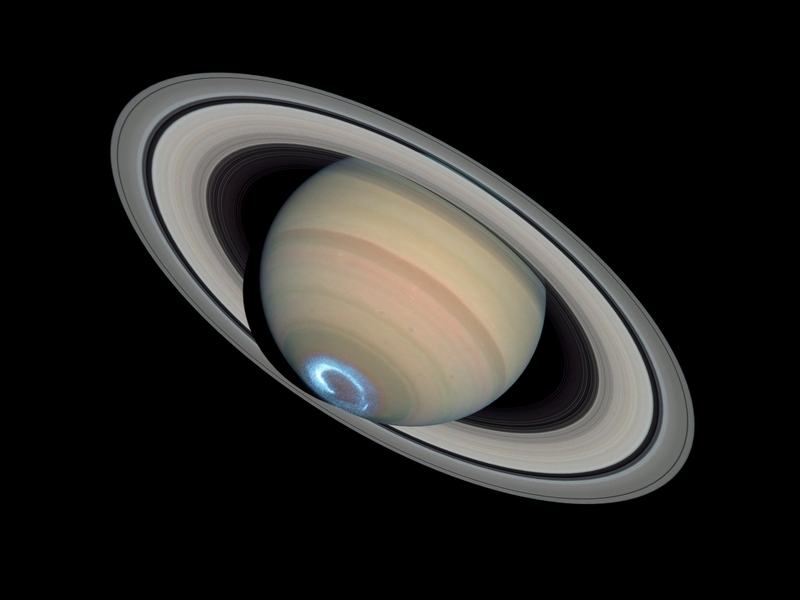 Maybe to proclaim His glory and give us a window into His character, He added a touch of class to Saturn by encircling it with a halo of dazzling rings. Could it be that the author of such stirring things is in reality quite exciting Himself? The solar system is jam-packed with the exotic, wild, and wonderful. Is it possible that the lost world’s view of God as a monotonous, lackluster, arrogant ruler is completely wrong? Absolutely! He is a wonderful God. It only follows that serving our Father is not a trek through the desert. It’s a journey through a springtime garden of beauty where each turn unfolds new and extraordinary insights. The Christian life is not based on emotion, but to strongly feel His presence can be an awe-inspiring, spine-tingling experience.